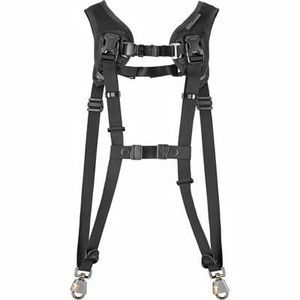 The BlackRapid Double camera strap and harness includes a shoulder pad built with nylon mono mesh and, curved TPE foam with polyester air mesh. 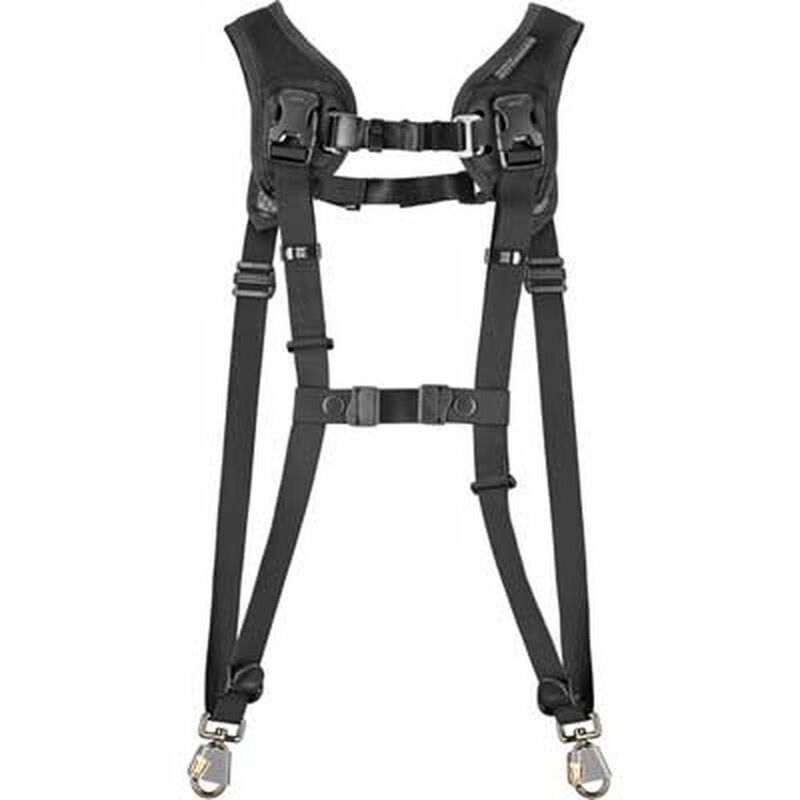 It is fully adjustable with nylon webbing and buckles. It comes complete with 2 sets of connectors (CR-3), a 2 piece Lock Star & fastener (FR-5) and a handy polyester dust bag.